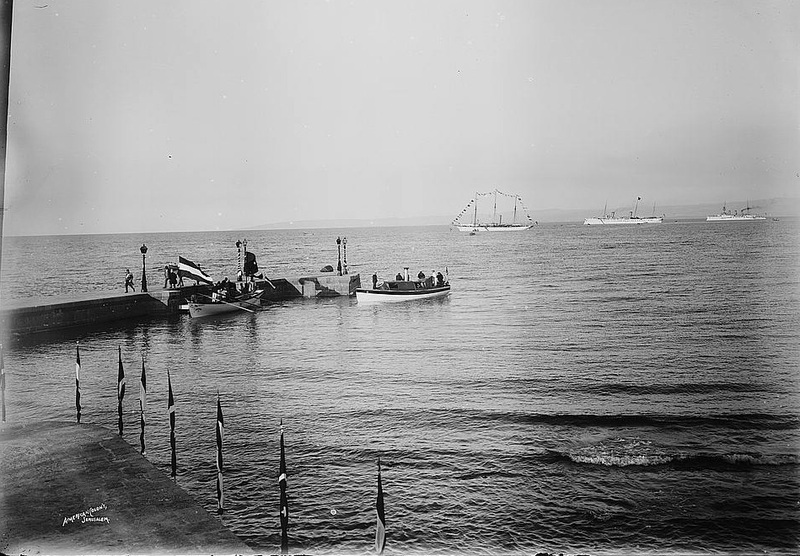 Arrival of the German emperor in 1898 on the quay of Haifa Bay. 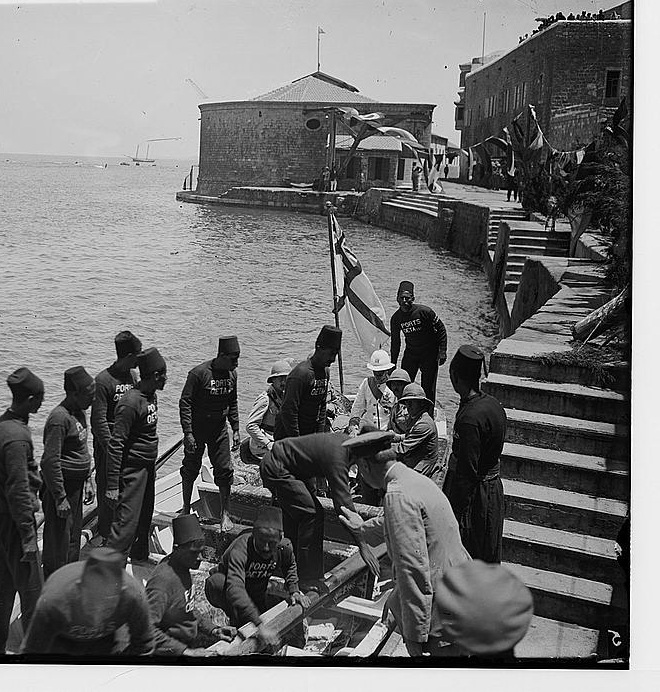 Jaffa was really the only major port in Palestine in the 19th century. 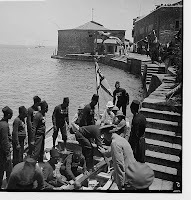 The docks of Acco and the bay at Haifa were little more than fishermen's villages. 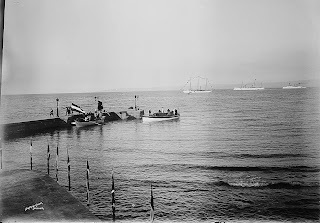 These pictures in the Library of Congress collection show the backwater nature of Haifa Bay, used by the German Emperor Wilhelm II for his arrival in Palestine in 1898. 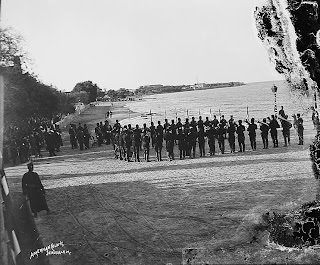 Perhaps the landing at Haifa reflected the presence of the German Colony established in the town in 1868. 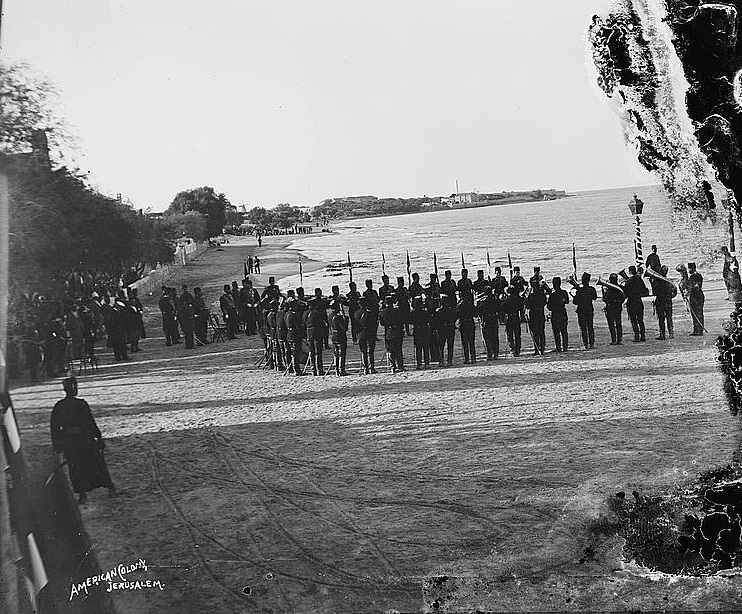 Turkish band receiving the emperor at the Haifa quay. 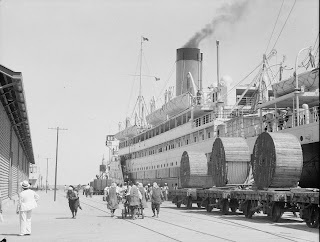 In the 1920s the British Mandate began planning and construction of a deep water port in Haifa, and Jewish development funds began purchases of large tracts of surrounding land for development. In the 1930s, faced with the strikes of Arab workers in the Jaffa port, British authorities and Jewish developers built the Tel Aviv port. The Jewish state-in-the-making would have two major ports under its control, with ports in Ashdod and Eilat eventually added. As they approached the harbor they made out the details with the help of their excellent lenses. 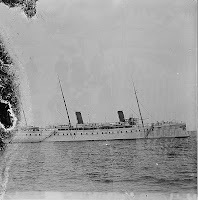 Great ships, such as were already known at the end of the nineteenth century, lay anchored in the roadstead between Acco and the foot of the Carmel. 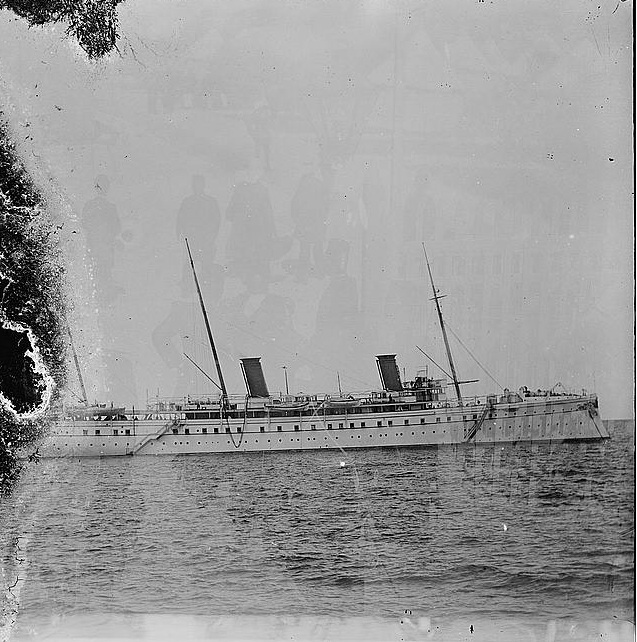 ...Below the ancient, much-tried city of Haifa on the curve of the shore, splendid things had grown up. Thousands of white villas gleamed out of luxuriant green gardens. All the way from Acco to Mount Carmel stretched what seemed to be one great park. The mountain itself, also, was crowned with beautiful structures.... A magnificent city had been built beside the sapphire blue Mediterranean. The magnificent stone dams showed the harbor for what it was: the safest and most convenient port in the eastern Mediterranean. Craft of every shape and size, flying the flags of all the nations, lay sheltered there. Kingscourt and Friedrich were spellbound. Their twenty-year-old map showed no such port, and here it was as if conjured up by magic.